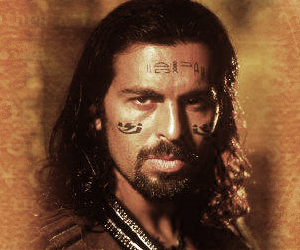 Fanfiction featuring Ardeth Bay from The Mummy and The Mummy Returns. He was so close now that she had to look up to see his face; could feel the heat emanating from his body and smell the warm, musky male scent of his skin as he slowly pulled her to him. Their bodies almost touching, he rested his other hand lightly on her waist and with the other reached up to tuck an errand lock of hair behind her ear. He cupped her cheek in his palm, his touch surprising her with its tenderness; the gentle movement of his fingers against her skin somehow incongruous coming from such an intense and strong man, a fierce warrior. She had seen him fight; witnessed first hand his skill and prowess in battle even before she knew who he was. Yet towards her, he had never been anything but gentle and courteous. In which Ardeth comes back to her. In which truths are spoken. After the battle with the Army Of Anubis, Ardeth seeks sanctuary.